UV (ultra-violet) or blacklight as it is often referred to is light which is in a long wave frequency of the light spectrum and thus gives off very little visible light, but it does produce an ambient purple haze. Used in a darkened room it can create an awesome effect by making anything that is white, neon or fluorescent such as clothing or objects in the room glow brightly, creating a stunning and seriously cool atmosphere. The Neon Party To create your own Neon party you simply ask all of your party guests to wear clothing that has lots of white and any type of flourescent colouring. Ask them to wear lots of accessories that glow such as glow sticks, glasses, light sabres, swords, necklaces, bracelets, bunny ears, shoe laces, anything that will glow in the dark and look cool. 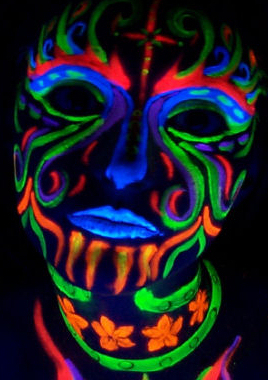 Neon Glow Face And Body Art If you can, try to purchase some UV skin paint and paint your face, arms and legs, or clothing. You can also purchase UV nail varnish, UV eyeliner, mascara, hairspray in a variety of different colours to make yourself really glow. We can recommend Jenny Marquis from: brushstrokesfacepaint.com who you can book to come to your party to professionally paint your friends. 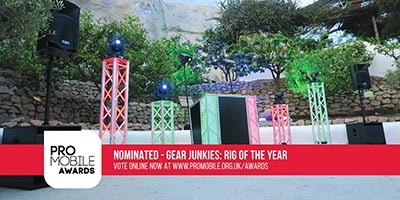 We are the South West leaders and pioneers of the UV neon glow party, we are the original DJs who brought the UV parties to Cornwall. Get as many people as possible to wear clothing that is UV reflective, white works very well, but clothes with white stripes also work well and of course any type of fluorescent clothing. White gloves, sock and trainers always look great. The obvious one is to wear some glow sticks as bracelets, necklaces, glasses, head bands, etc. Highlighter pens can be soaked in water or better still tonic water and the solution can be painted on objects, clothes or skin for a great effect. Tonic water glows very well under Black Light and can be safely used in all types of drink. Hi Visibility Vests & Jackets can be purchased cheaply from safety shops and look great under black light, as does anything such as reflective arm bands or cycle strips or any reflective stuff used so that you can be seen in the dark while cycling. Use black cloths to cover tables and place objects that will reflect black light on them. Use a cheap ball of white string and create a massive spiders web and hang it from the ceiling or walls, these can look great. 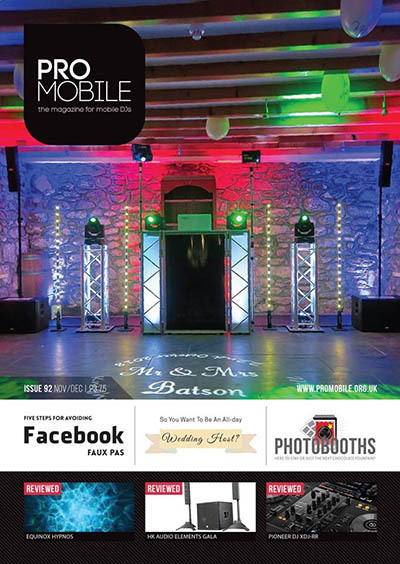 Use UV or fluorescent paint and create some backdrops and hang them on the walls around the venue. Washing powders and detergents with added whiteners will normally glow very well under black light, this can be mixed with water and painted on to backdrops and clothes etc for an added effect. Insert glow sticks into balloons before inflating them and hang them around the venue, You can also purchase balloons with led lights inside quite cheaply. 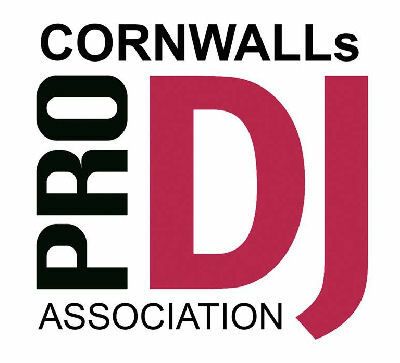 We are the original DJs who brought the UV neon glow parties to Cornwall, we are the leaders and pioneers and while others have tried to copy and emulate us we will always be one step ahead. Be the envy of all your friends and be the first to have a Neon Glow party, it's sure to be the highlight of the year. 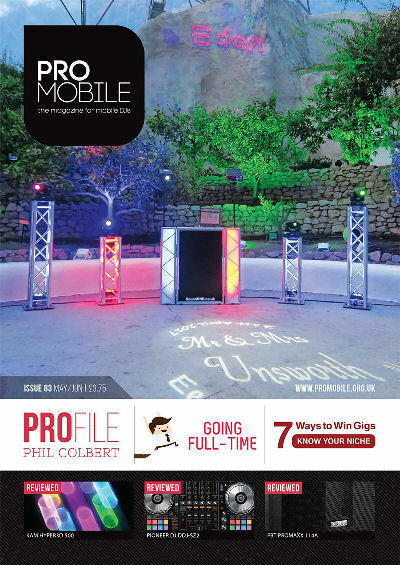 SoundONE brings disco into the naughties and to help do that, for all glow parties we will include our Music Video Screens add-on service at a reduced rate. Don't forget to checkout our UV Neon Glow Party Photos. 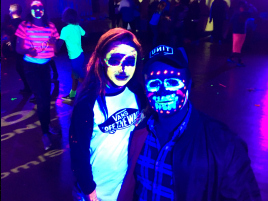 UV neon glow parties, don't just have to be for the kids and teenagers, they are just as good for the adults too. 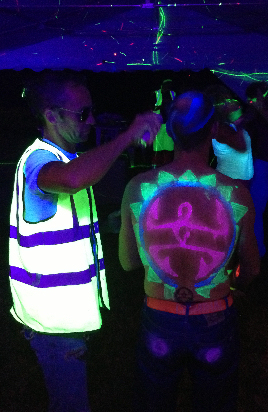 In fact adult UV neon glow parties can be just as good or even better. We provide the ultimate children and teenagers UV neon glow parties, leading the way and leaving those who have tried to copy us in the dust.